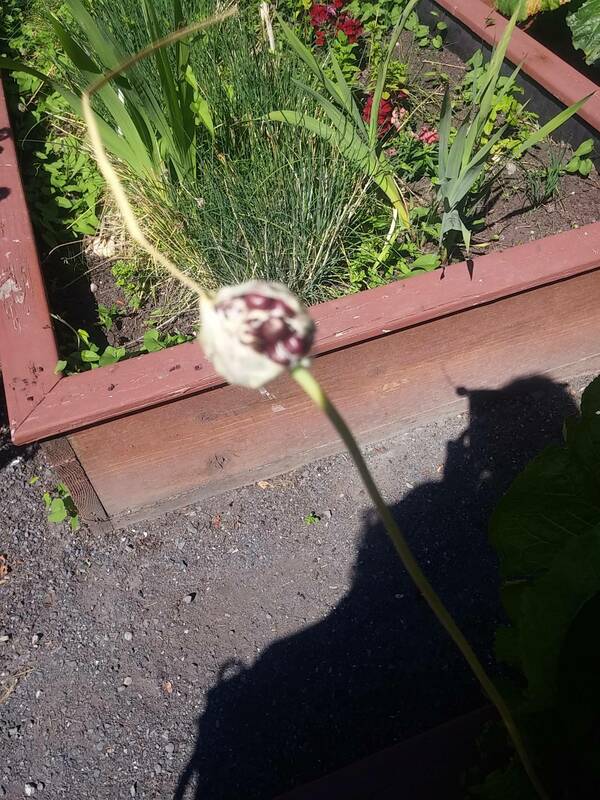 The (central) unfocused stalk in the foreground looks like an older flower head of a member of the genus Allium which includes garlic, onions, shallots etc. It may well be a garlic plant that was placed in the restaurant kitchen garden. The single flower heads of garlic (Allium sativum) forms at the top of a long stalk. This flower head (called an umbel) not only forms flowers with true seeds, but also can form groups of tiny bulbs (called bulbils). Your photo looks very much like a cluster of garlic bulbils which can be planted to grow small clones of the original plant. Additional links give more information. What are the basics to collect seed from the vegetable garden? 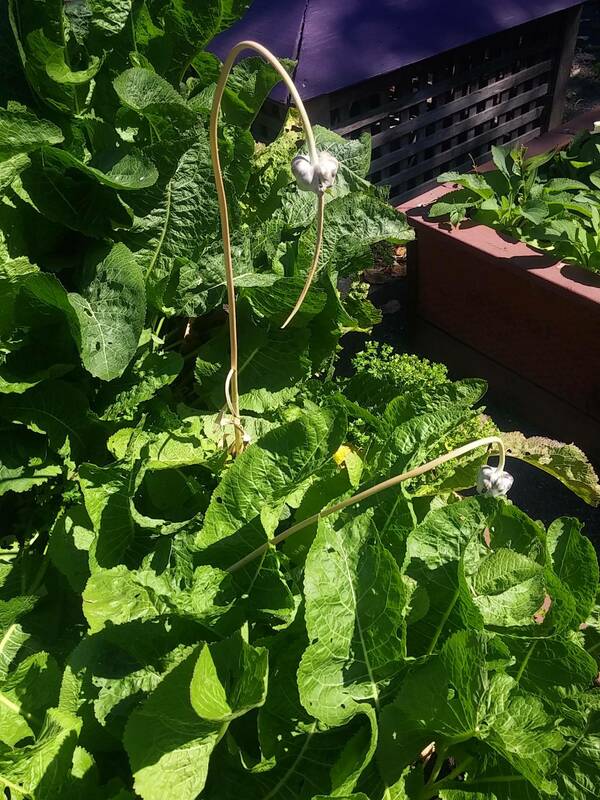 What kind of vegetable plant is this? Is this an Aloe kilifiensis?